Maybe this has happened to you: one day you’re sitting at home watching TV and suddenly you notice that your favorite actor or actress has 2 different colored eyes. Is it a special effect, or colored contacts? It’s actually a very common condition called heterochromia, and you probably know someone that has it (even if it’s very subtle). Some people are just born with two different colored eyes. The contract can be drastic: Kate Bosworth, who starred in Superman Returns, has one light blue eye and one blue-brown eye. The actress normally wears a contact lens when she’s playing a character, because it can be very distracting. Likewise, Dallas star Josh Henderson has a very light blue eye and a deep green one. But in his case, the condition is more severe. While most cases of heterochromia are harmless, it can also be caused by eye injuries early in life. Henderson’s condition left him nearly blind in his left eye. Mila Kunis was also blind in one eye, until she had corrective surgery. She can see perfectly fine now, but her heterochromia is still there (her right eye is lighter than her left). It turns out lots of stars have very mild cases of heterochromia, which gives their eyes a distinctive “multi-color” look. 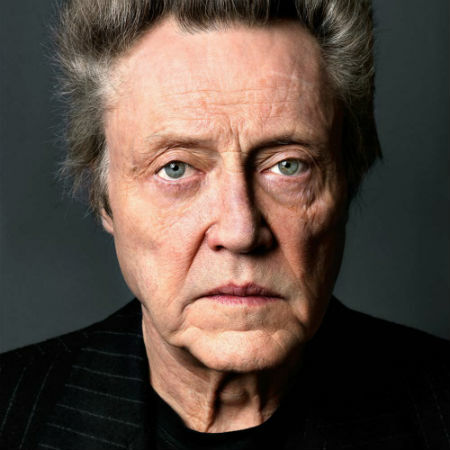 From Dan Akyroyd and Robert Downey Jr. to Christopher Walken and Joe Pesci, these actors can all credit their “striking” looks to the condition. See if you notice it the next time you watch one of their movies! Find out what makes David Bowie unique on the next page! While David Bowie was arguably the celebrity with the most famous pair of mismatched eyes, he didn’t actually have heterochromia. It can be hard to believe when you compare them, but Bowie’s eyes were actually the same color. Bowie had a separate condition called anisocoria, or different sized pupils (the dark part at the center of your eye). As many as 1 in 5 people actually have anisocoria, but the difference in size is usually less than a millimeter. Bowie’s eyes were so drastically different because of a childhood injury. When he was just 14, Bowie and another boy were fighting over a girl when the teenage rocker was punched in his left eye. After that, Bowie’s vision on his left side was always weaker, and that eye always looked almost black. Thankfully, Bowie and the other teen let bygones be bygones after their fight, and that boy, George Underwood, grew up to design album covers for his famous friend. Bowie actually thanked Underwood, because his distinctive look stood out on his Heroes album cover and helped his music career take off. Share these stunning pictures with someone you know!